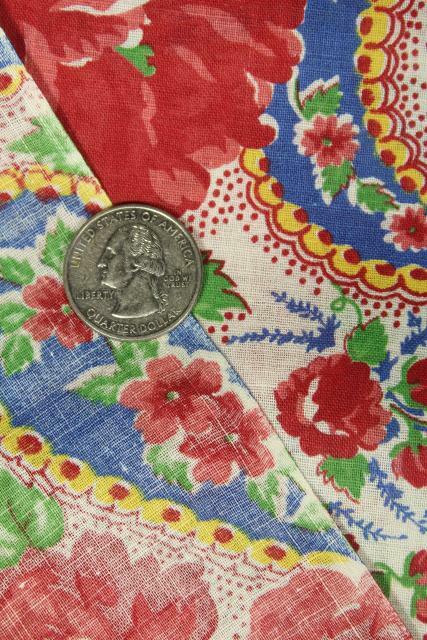 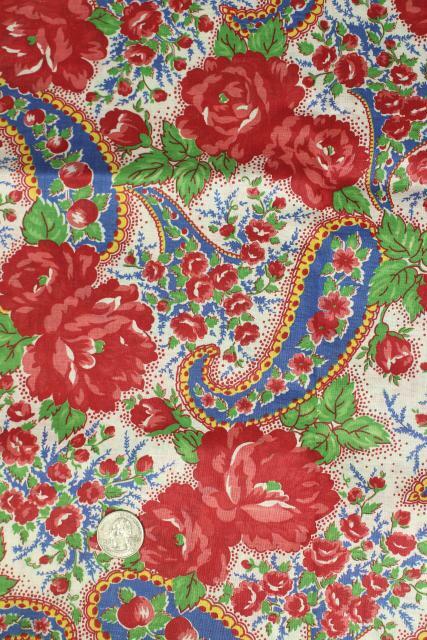 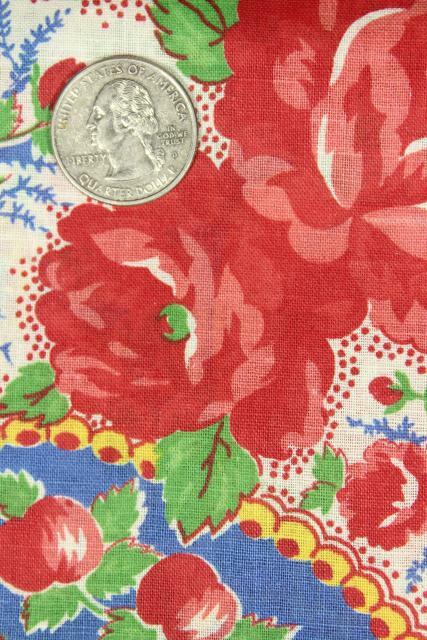 Rose floral print 1950s vintage cotton fabric, nice for bags, aprons, etc.. so pretty, so retro! 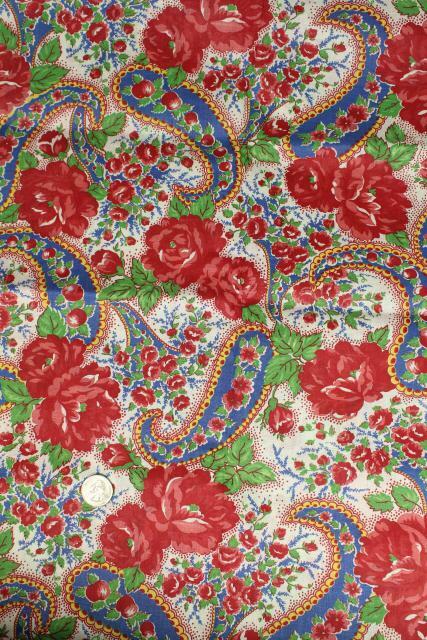 This is 36" wide fabric, a piece a little over 2 yards. 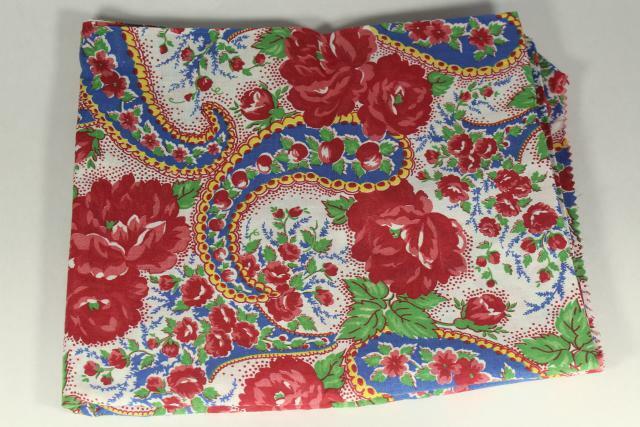 It's in nice bright, crisp condition.